Education projects in the United States benefitting underserved children and youth in resource lacking communities. While K-12 education in the United States is both compulsory and free, the U.S. continues to face myriad issues when it comes to providing all children with quality education. Underfunded public schools and income disparity are among the chief obstacles students face today, along with a startling rise in school violence. Academic success is heavily determined by family income, with children from affluent families entering school more prepared than their less affluent peers. In fact, though the United States spends more money per student, per year than other developed nations, it ranks among the lowest for math and science test scores. Public school teachers often put in time outside of their contracted work hours and use their own money to purchase classroom supplies, perhaps contributing to rampant teacher burnout and a growing lack of quality educators. According to dosomething.org, 14% of new teachers resign after their first year, 33% after their first 3 and nearly 50% resign by their 5th year. Additionally, while there is a growing demand for college-educated workers, college tuition continues to rise unchecked, forcing students to either skip college or take on significant debt in order to attain higher education. To enhance environmental awareness and recycling, PaperSeed supports Keep California Beautiful in a friendly annual competition and bench marking tool for school recycling programs to promote waste reduction activities to students, families, faculty and staff. Participating classrooms, schools and districts will track and report how much recyclable material they collect for a chance to win prizes. We are very excited for the opportunity to continue this initiative with the support of our partners in 2018. PaperSeed is working with Groundwork Bridgeport to provide a much-needed learning garden and accessible natural space for the community. This garden will also act as an attractive habitat for pollinators (bees and other insects, as well as hummingbirds, bats, and other small mammals). As an urban setting, there are few spaces within the city of Bridgeport to support these pollinators, which are vital to all life on earth. While Connecticut is overall considered to be an affluent state, the Bridgeport community suffers from high unemployment and other societal ills that often plague urban areas, and Bridgeport is one of the top ten most dangerous cities in the country. People in urban settings often miss out on the myriad benefits natural settings can provide and, while there are two major parks in Bridgeport, CT, there is a dearth of small, neighborhood natural spaces. Groundwork Bridgeport provides local students with both classroom and hands-on learning about botany, horticulture, and arboriculture. These positive after school activities are vital to the area’s youth, and provide them with tangible life-skills while helping to beautify and revitalize the city. Vida Verde Nature Education continues to provide an excellent outdoor education program for urban students in the San Francisco Bay Area, 100% free of cost. For many of the 750 4th-6th grade students who visit Vida Verde annually, it is their first time seeing the ocean, picking vegetables, and meeting farm animals. This experience provides a vital connection to nature, and provides a tangible idea of where and how food is grown. 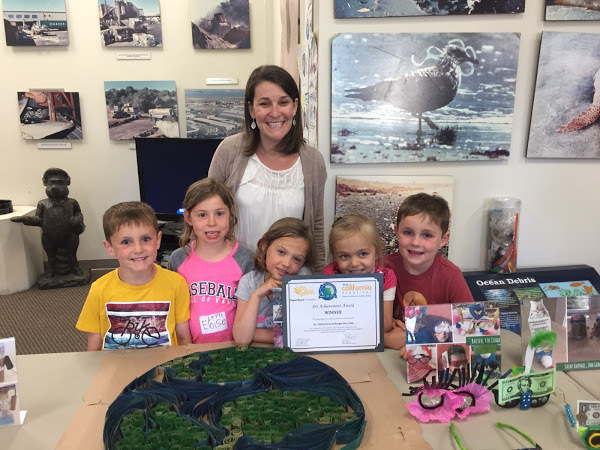 Moreover, their visit to California's stunning coastline gives them a viable stake in protecting the environment, and increases their likelihood to engage in positive environmental behaviors at home. Vida Verde's animal pasture provides a unique point of connection for students who may never have encountered a farm animal before. During their 3-day stay at Vida Verde, students get the chance to milk goats, make fresh cheese, and complete the learning cycle by enjoying their homemade cheese with fresh vegetables from the farm with dinner. By providing vital, long-term infrastructure improvements for Vida Verde's livestock, we are contributing to the holistic education of local students for years to come. PaperSeed worked with Groundwork Bridgeport to provide a much-needed learning garden and accessible natural space for the community. PaperSeed partnered with Youth in Arts in the fall of 2017 to enhance our annual Recycled Materials Arts Competition by providing targeted teacher training and lesson plans to local elementary school teachers. Learning outcomes from music education include higher reading and math scores, improved self-esteem, pride, and accomplishment, as well as the myriad intangible benefits youth get from exposure to the arts. Unfortunately, the arts are often the first to be cut from a school's budget, and these cuts disproportionately affect rural and inner-city schools. Responsible Consumption and Sustainable Cities and Communities are two of the Sustainable Development Goals for 2030, and we see education as a key component to achieving these goals. The Recycled Materials Art Competition was developed to help raise awareness among elementary school students about recycling. The Fairfax-San Anselmo Children's Center (FSACC) is located in Fairfax, California, nestled behind the town and at the foot of Mount Tamalpias. FSACC benefits the community through providing quality child care within the context of the family as a whole. To support environmental awareness and recycling, PaperSeed supports Keep California Beautiful in a friendly competition and bench marking tool for school recycling programs to promote waste reduction activities to students, families, faculty and staff. Participating classrooms, schools and districts will track and report how much recyclable material they collect for a chance to win prizes. A non-traditional learning space for inner-city students, the outdoor classroom provides a unique set of educational and personal benefits. Chief among these benefits are improved learning experience, increased retention rate for subject material, improved social skills, lowered school violence and bullying. Camp Rising Sun's mission is to provide a safe, nurturing and fun environment for kids who have faced the diagnosis of cancer, so that they may grow and learn from their experiences to become the best they can be. More than that, Camp Rising Sun enables children to capture those perfect summer moments that might otherwise be missed. The children and families of Sandy Hook and Newtown have been affected by the events of 12/14 in widely varying ways. The book, “Pepper’s Dragons” by Dr. Stacia Bjarnason, Ph.D,. was written as a healing tool for these families with its primary focus on opening up a dialogue between parents and their children.